The best dentures other doctors can’t buy with the most expensive lab. We make them right in our office for our patients. We not ONLY use the best dental materials, most beautiful and highest quality teeth to fabricate our dentures. We make our dentures with the most tender loving care ways possible just because Dr. Gigi believes her patients deserve the BEST. Our denture fabrication process involves 6 appointments for traditional dentures, our patients will get to choose the color and shapes of their teeth. Patients will get to try their new denture out prior to processing at minimum twice. Dr. Gigi would not process any denture until patient gives final approval. 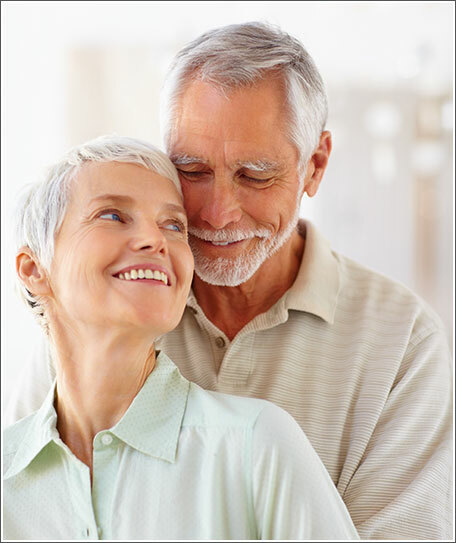 Since we spend so much time making sure each step of the way is done right, our denture fits perfectly, provides utmost comfort, and functions properly. Imagine eating apples, peanuts, steak and everything else you want to eat with your dentures? You don’t have to dream it anymore. Just call us for a FREE consultation appointment. Come in to see our work and also don’t forget to watch videos to see what other patients have to say. You will soon eat all the food you have always wanted to eat, socialize and advance your career with the most gorgeous smile.